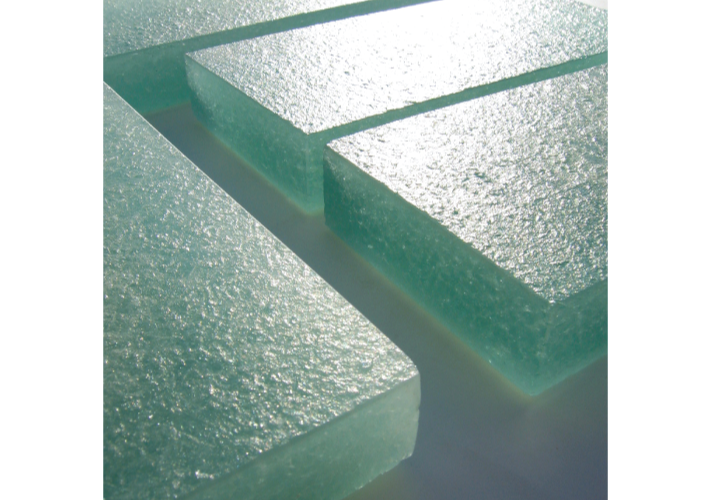 Decorative and architectural, SLAB Glass is a premium product crafted from 100% recycled glass. Its light transforming and tactile qualities are truly unique. 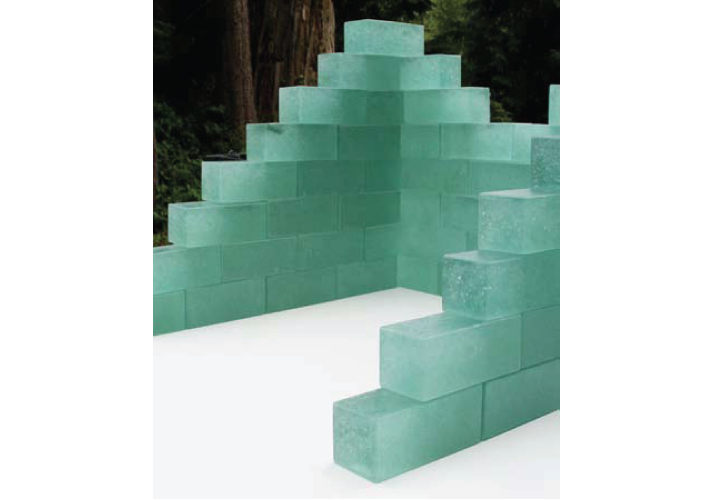 An outstanding range of monolithic dimensions of 40 square feet and up to 4 inches thick make SLAB glass an exciting choice for design and architectural considerations – furniture, wall partitions, sculpture, water features, signage and more. Robert Studer received the 2009 Western Living Designer of the Year Award for Ecological and Industrial Design in part as a result of developing this product.